MultiBrief: Math is about numbers, so it’s easier for English learners, right? Math is about numbers, so it’s easier for English learners, right? Mathematics is regarded as one of the core content areas that all students are expected to master as they progress through school. Mathematics instruction, however, has changed in the past several years. In past generations, mathematics often involved learning algorithms and formulas and plugging in numbers to solve math problems. With the introduction of new, rigorous state standards and college and career readiness expectations, logic, problem solving and the integration of a variety of strategies to solve problems have taken a front seat. Word problems also play a prominent role, and students are expected to analyze the problem, use a variety of strategies to solve the particular problem, and explain and justify their work. In other words, language plays a stronger role in mathematics instruction and learning than it ever has in the past. 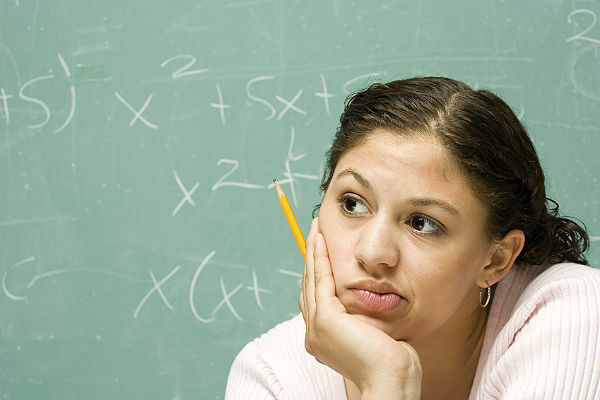 Some might mistakenly think mathematics is easier than other subject areas for English learners as it is about numbers and computation. However, math is a language-rich, complex subject area that necessitates language analysis skills in addition to computational skills. While mathematics still involves the use of symbols, numbers, operations and algorithms, the language of mathematics — including domain-specific and general academic vocabulary — plays a pivotal role in using certain operations to solve problems. For example, the use of and or of can trigger particular mathematical practices within a word problem. Words such as "less than" can trigger either addition or subtraction based on the placement and context of the words. If these issues were not enough to make mathematics more challenging for students also learning English, the expectation that students verbalize or write justifications or explanations for their work adds an additional level of difficulty. All students must learn the language of mathematics. The issue at hand is, which words should students master? When asked this question, most people would respond that students need to learn the words addition, subtraction, multiplication and division, for example, but may not mention terms such as addends, subtrahend and minuend, sum, difference, product, quotient, etc. The challenge is that there are sometimes numerous words that can be used to describe the same topic. For example, added to, plus, more than, increased, together and combined can all signal that students need to add. The words less, decreased, minus and reduced all can indicate subtraction. Teachers must not only be aware of the various words that can trigger specific operations, but also teach the various words to students. A simple misunderstanding of a particular vocabulary word can cause students to answer incorrectly or potentially misrepresent what they know and are able to do mathematically. Multiple-meaning words can also cause confusion for English learners unless they are pointed out by the teacher. There are several words used in mathematics that have differing connotations in other subject areas. For example, the word table in mathematics differs from how it is used in everyday life, and how it is used in science when discussing the water table, for example. A solution in science differs from a solution in mathematics. Making students aware of these differences will help eliminate confusion. Given the importance of vocabulary, teachers should dedicate time to vocabulary instruction in mathematics. That said, how much time on vocabulary is enough, and how much is too much? Vocabulary instruction in mathematics should be embedded throughout instruction. Teachers should make a concerted effort to include a variety of mathematical terms in their own speech and instruction, and point out the variety of words that students may encounter in math problems as they come up. This, of course, should be embedded throughout the practice of mathematical skills and problem solving. Students, then, should be encouraged to use this vocabulary both as it is encountered in classroom practice and solving word problems. When solving word problems, students may look for key words to help them determine the operation(s) involved in the problem. However, key words can be deceiving. As mentioned previously, multiple words can be used in mathematics for the same operation, and some words that seemingly indicate a specific operation can actually trigger a different operation. Consider the following third-grade word problem: "A new video game system costs $650. It costs $250 less than a new television set. How much does the television set cost? How much do both items cost in all?" Asked to identify the key elements and words in the problem, students would likely state that $650 and $250 are important, and that the words less than and in all indicate the operation to be used. Taken out of the context of this particular problem, one might assume that less than would indicate subtraction. But given that the students are determining the cost of the television set, they need to add the two costs together to get the correct response for the first part of the problem. They then need to complete the problem by adding the cost of both items. The problem listed above underscores the importance of both teaching key words, and cautioning students that specific words in a problem need to be considered carefully to determine how to solve the problem. Students will need the computation skills to determine the correct answer, but will also need to carefully analyze the words in the problem to determine what is being asked of them. Mathematical discourse involves student use of academic language to discus, question, prove, explain, justify, agree and disagree in the mathematics classroom. While arriving at a correct answer in mathematics is always a goal, recently an emphasis on explanation and justification has arisen — which, of course, includes the use of language. The language of justification and explanation also needs to be taught explicitly, especially to English learners. Sentence starters or frames can be a helpful tool for English learners and all students to engage in mathematical discourse. If students need to share or report how they solved a particular problem, they might use sequencing language such as "Initially, I ______, then I _________," or "Immediately before/after _________, ________." For example, a student might need to say "Initially, I determined the two numbers had to be added together to get the sum, then I used two different strategies to represent the problem. Immediately after using the two strategies, I wrote the equation and determined the answer." To report on the solution to a particular problem, students might use phrases such as "I believe this is the correct answer because ..." or "The solution shows that ..." or "The answer can be verified through/by ..."
The more often students are able to discuss their responses orally, the easier it will be to write more formal responses and justifications. Utilizing student interaction strategies such as A/B partners, clock partners or numbered heads will help students get accustomed to discussing mathematics on a frequent basis. Quick-writes can be used to have students write explanations and justifications of problem solving techniques, the use of strategies or how they determined how to solve a particular problem. While mathematics may seem as though it would be an easier subject area than others, math instruction today includes heavy use of academic language in reading and analyzing word problems, discussing strategies that can be used to solve particular problems and explaining how they arrived at a particular solution. Emphasizing language during math instruction will benefit students as they learn computation skills, as well as developing academic English.